MMA started working on this project 2002 with limited funding, and initially the project struggled. As a result, only a small number of signs were placed around the state through 2007. However in 2008, MMA obtained a grant from the Hugh C. Becker Foundation that allowed MMA to renew this educational campaign in earnest. 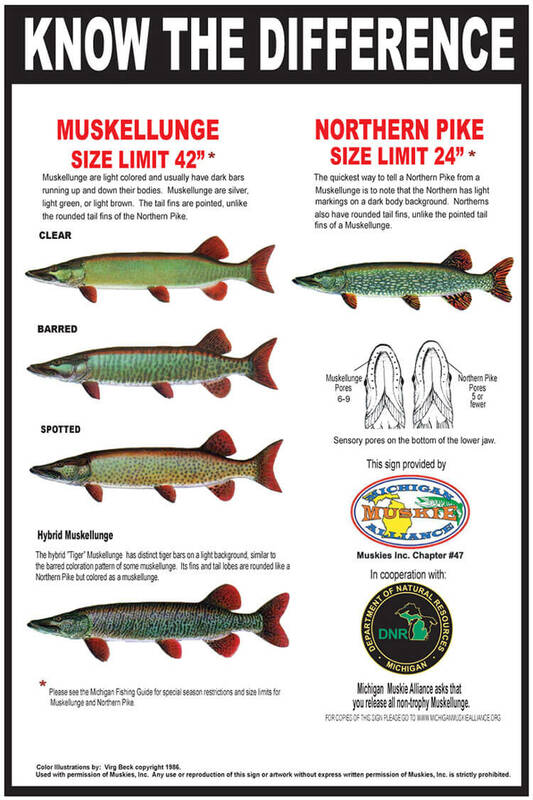 During 2008 more than 100 lake access sites in the Upper and Lower Peninsula were provisioned by MMA volunteers with 12×18″ aluminum Know the Difference signs. 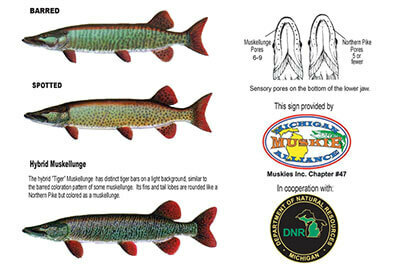 These signs have proven to be a very effective tool to help make anglers aware of the substantial difference in size limit of the Northern Pike (24″) and the Muskellunge (42″; the Thornapple Lake size limit is 50″). Here’s how you, too, can Know the Difference! 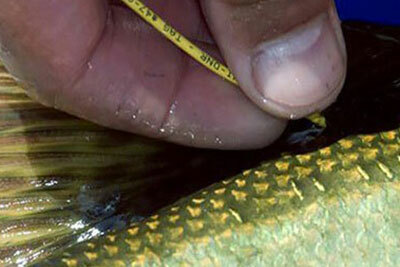 Muskies and pike are not the same! Know the Difference!